In February,1978 I began a career in the rug business as an apprentice to an Iranian man named Hamid Sharifzadeh. I had travelled extensively in rug producing countries and somehow it all made sense. Working for rug shops and dealers we did basic repairs. When rugs were dirty we would clean them in the bath tub, or out in the driveway. It was an exciting time. Based in Boulder the business grew slowly. In January 1982 I opened a small wash plant in a shop front on 32nd Avenue in Northwest Denver and hired two employees. In 1984 we moved to a large warehouse on Walnut Street and moved again in 2009 to a bigger space on Race Ct,. just north of the Denver Stockyards complex. With a staff of twenty we had become a small business. A Denver County plan to redevelop the Stock Yards caused us to move again. In August 2018, after four years of negotiation and hard work, we moved to a new location at 2151 W56th Avenue. 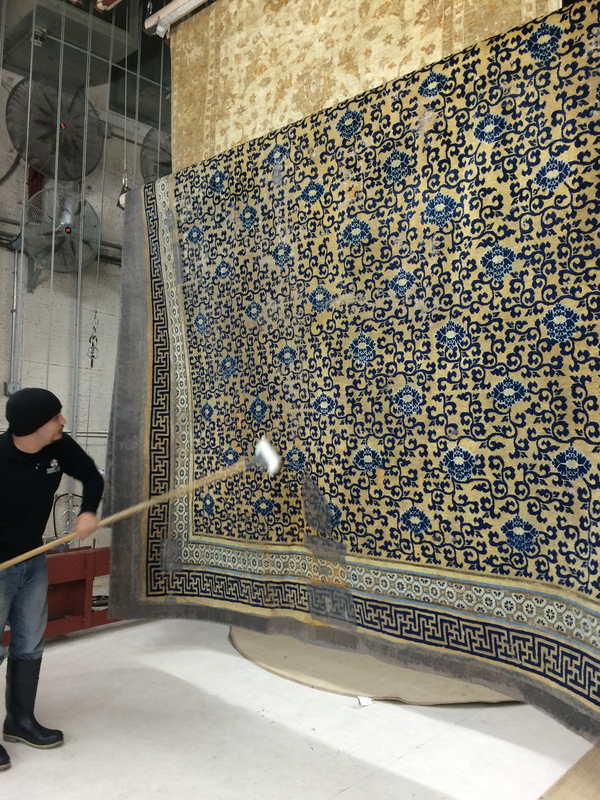 Our new home is a 24,000 square foot state of the art facility for rug cleaning and restoration. Robert Mann Rugs specializes in the care of Oriental and Southwestern rugs and textiles. We offer a range of services; repairs, restoration, mounting, appraisal, and expert consultation. We buy and sell antique rugs and textiles. Our clients include private individuals, dealers and institutions. The work ranges from cleaning residential rugs to large scale grant-funded projects for major museums. 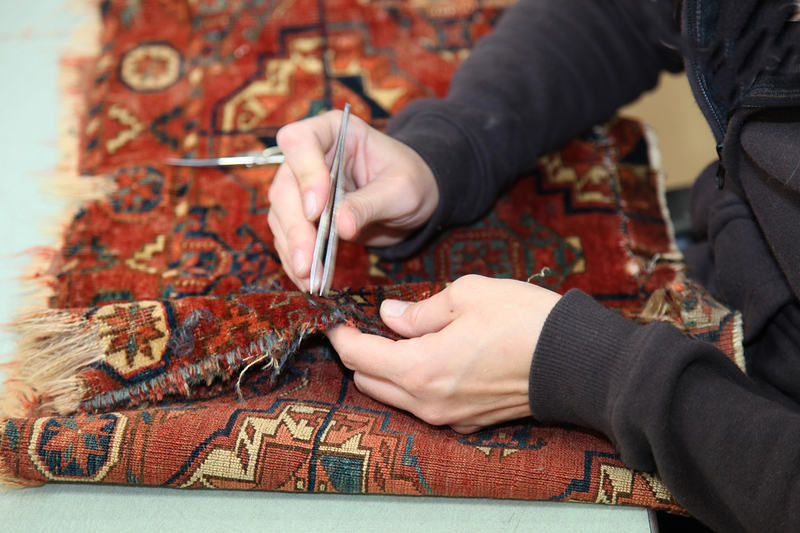 We offer restoration services at our Denver facility and also at our partner workshop, Antique Textile Conservation, in Izmir, Turkey. 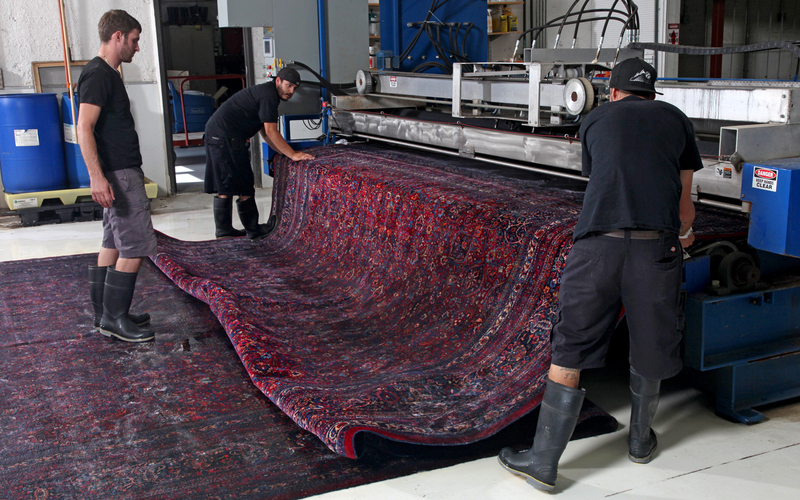 We have worked worldwide, providing technical and production design assistance to producers of new hand-made carpets in nearly all of the major rug producing countries. As fans of old rugs and textiles we have bought, sold, and collected the best material we could find. 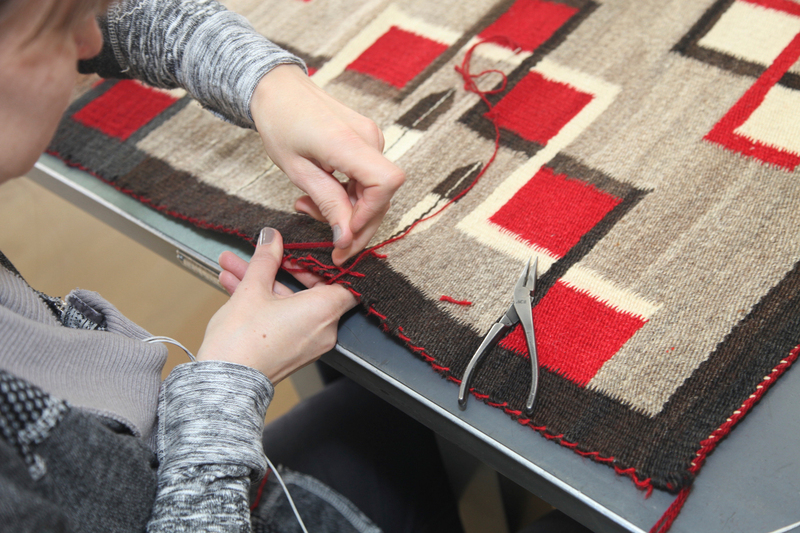 We are able to provide expert consultation for the purchase or sale of rugs and textiles. We are also expert appraisers and offer informal assessments at no charge, and formal written appraisals for a fee. We welcome visitors. Just give us a call and we’ll be glad to show you what we do.